Farmers and producers commenting here on Coles decision to stock hormone-free, compassionately-reared animals are worried. They say that while Coles is asking these standards from Australian producers, it is still importing processed meat from countries where humane practices are not adhered to. I will be ringing Coles this week for their comments on the Farmers’ claims. I will also gauge their response to the extraordinary, huge response I’ve had on this site to their decision. Meanwhile animal rights group Voiceless continues to fight what it calls conflict of interest in the debate. Here Voiceless Chairman Brian Sherman again challenges Professor Ian Lean and his colleagues to justify their position on hormone-fed meat. In 2010 Coles announced that it would stock only hormone free beef, and phase out pork sourced from sow stalls, metal and concrete cages only slightly larger than a mothers pig’s body, in which she is individually confined for much of her productive life. Coles’ decision was in response to consumer concern for animal welfare. 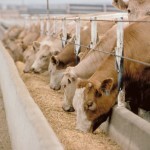 In March 2011, a group of animal scientists led by Professor Ian Lean took out a full page ad in The Australian condemning Coles and saying that production methods such as hormone treated beef and sow stalls are “ethical” and “favour” the “well-being” of animals. These claims are said by him to be based on science. We are sure the intentions of Ian Lean, Sydney University’s Adjunct Professor of Veterinary Science and MD of livestock consultancy SBScibus, are good. Nevertheless, we find it incomprehensible that Adjunct Professor Lean and his colleagues can argue, as they did in their advertisement published in The Australian, that sow crates and hormone implants are methods of production that are “ethical” and “favour” the “well-being” of animals. We stand behind our view that these practices are fundamentally inhumane, and our view is supported by the community. As the overwhelming majority of posts to this blog show, the community clearly believes, like us, that it is wrong to subject animals to the brutality of factory farming. Leading scientific research such as that of the EU Scientific Veterinary Committee also shows, for example, that group housing systems are better for pig welfare than sow crates. We reiterate that the ad placed by Adjunct Professor Lean and his colleagues was funded by the ‘Animal Health Alliance’, a lobby group for the veterinary pharmaceutical industry comprising companies such as Novartis, Bayer and Pfizer. 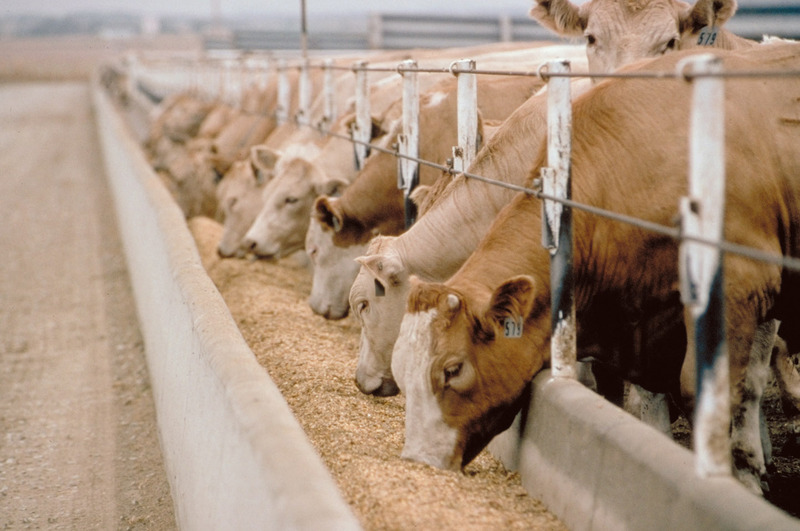 It is surely obvious to the disinterested observer that the Animal Health Alliance’s core goal is commercial, that is, to grow its markets, including in intensive animal agriculture. We note that Adjunct Professor Lean is an animal agribusiness executive, and therefore also has an interest in maintaining the industry. We note that in his letter on this blog, Adjunct Professor Lean now says he and his colleagues “support an orderly move to phase out sow crates”. Why is this, when, as they claimed in The Australian, sow crates “favour animal well-being”, and Coles’ decision to phase out sow crates in three years’ time is “bad for animals”? It is curious that Adjunct Professor Lean and his colleagues can simultaneously hold two mutually exclusive positions on this major ethical issue. Should we have babies by 29? There is certainly a lot of talk today about hormone free beef. The only problem I have with hormone free beef, or hormone free cattle is a simple one. If there was such a thing as hormone free cattle, they wouldn’t be able to reproduce. I suspect this could be the reason God made cattle as well as all other plants and animals humans consume to contain hormones. The HGP products used in animal production do not significantly impact the hormone levels in beef, and the hormone levels in beef pale in comparison to those in organically grown vegetables like lettuce. These are the facts, yet some people refuse to let the facts get in the way of a little highly profitable scaremongering. I am a vegetarian and I am really concerned about the way our animals are treated. I belong to Animals Austrlaia and they send out horrific literature regarding the treatment of animals by farmers all for profit, disregarding the stress on these creatures. I sent letters to Coles commending their ethics regarding the way pigs and hens are treated. As for hormones fed to cattle how disgusting , apart from affecting the cattle it must affect human health in the long term. Thank you for bringing it to the attention of the public, the more we know hopefully the more we will act and make choices regarding animal health. Jan Fleming. Yesterday I drove to a butcher shop in a small town about 10 klms from my home. He raises his own animals, completely free range, with natural feeding and no growth hormones, and a comfortable happy life. He slaughters as well, all under 18 months old. The animals are treated with respect, and killed with as little discomfort as possible. He employs around half a dozen young butchers in his business. He is an active member of the community – always up for a charity BBQ. I bought 2 scotch fillets which were cut thick, with just a little fat, and were dark and juicy. I pan fried them in a tiny bit of olive oil with garlic and pepper until they were medium rare. I’m not going to pretend they were bargain basement priced: they were not. We are not big red meat eaters anyway, so they are a treat for us. However, they were only marginally more expensive than the meat sold at Coles or Woolworths. But the flavour! The texture! There is no comparison. Even if you aren’t convinced by the moral issue, or the health issue: this distanced, mega commercialisation and lack of empathy in animal husbandry has taken away so much of value from our lives. One look at the obese people around us now, in comparison with 40 years ago, and any talk of food shortages is nonsensical. If we supported our Australian farmers and kept farm ownership local, the subject would never arise. Hi guys start me off. I have noted here that the voices of the farming community and producers can’t be ignored. They have made an important claim that needs to be checked and responded to by Coles – that Coles asks one thing of its Australian producers while allowing those practices from its international suppliers. I will contact Coles for comments, meanwhile Brian Sherman of Voiceless returns the volley with Prof Ian Lean. What do you think?